I want to push a narrative The Computer is really into right now…that the Atlanta Falcons are really a very good team – and that it’s because of their defense. More on that in a moment. In this game, Atlanta held a 9-7 lead going into the 4th-quarter…a lead they would lose moments into the 4th and go on to lose 14-9. Atlanta missed a field goal with 6+ minutes left and lost a chance to put more pressure on the Vikings for the final drive(s); something Matt Bryant rarely does. Atlanta is a good team that got outplayed by a nudge by the Vikings…a Minnesota team that may be the one of the three best in football right now. Here’s how good Atlanta is of late…4-3 record in their last 7 games – 3 losses to high-end teams (NE, CAR, MIN). Two of the losses by five or fewer points. It’s almost like the Falcons got beat by New England Week 7…a third loss in a row after a 3-0 start…and it kind snapped something in them. Perhaps, something like “We blew it in the Super Bowl. We got smoked in our revenge matchup this season. The Pats are just better than us…we need to get our butts in gear.” They’re 4-2 since that NE loss with a 3 point loss to Carolina and a 5 point loss to Minnesota. This is a good football team with a mismanaged offense and an emerging defense a la the LA Chargers…again, more on that in a moment. Atlanta wins tonight vs. the Saints and they jump to 8-5, heading to Tampa for a likely win…then just needing one more win in their final 2 games to get to 10 wins and a likely playoff berth. Minnesota…best team in the NFC right now. Beat the Rams. Went on the road to beat a good Atlanta team here. 8 wins in-a-row. Their last loss to Detroit…where they outplayed the Lions by a mile. Their only other loss is to the Steelers because they aren’t better than the Steelers (or Patriots). I feel like the Vikings are a very good team that’s playing great right now, but is that sweater with a loose threat…that something is going to pull that thread and undo the entire sweater. Big game this week for the Vikings with Carolina. A Minnesota win will probably seal a #1 seed in the NFC. A loss to the Panthers…and then the Packers with Aaron Rodgers will be looming Week 16; a likely loss. A Vikings loss this week could be that first domino to fall in the slight decline of the Vikings and them falling short for another season. A lot riding on this week’s game. -- Let me offer up to you the Atlanta Falcons DST as a possible savior for your fantasy playoffs. I’m speaking to those with the Steelers and/or Chargers and/or Rams and/or Patriots DSTs right now…so, a lot of you reading this, I suspect. You don’t need/want Atlanta’s DST for Week 14 hosting the Saints. You do want them facing Tampa Bay Week 15. Steelers DST owners…the loss of Ryan Shazier is a killer that may bring the Steelers DST down to ‘OK’ as it is, but Week 15 vs. Tom Brady – no way. The Steelers DST is pretty shaky Week 14, and then no-go Week 15. Chargers DST owners…Week 15 vs. the new play-caller for the Chiefs, and a low turnover QB – it’s not a favorable matchup for scoring. Patriots DST owners…Week 15 vs. the Steelers is not good. Rams DST owners…Week 15 at Seattle vs. Russell Wilson is not great, especially with their O-Line starting to come together. In their last 6 games, the Falcons defense has held opponents to 20 or fewer points five times. They’ve been playing mostly good offenses and doing well to contain them. Once Vic Beasley came back, and once the team got past the Patriots loss…the Falcons defense is rising and they’ve been getting sacks -- #10 in the league in most sacks this season. The Falcons DST’s best sack performance was that Dallas massacre a few weeks ago…the one where Dallas was missing its top O-Linemen. Guess what? The Bucs lost their top TWO O-Linemen to IR last week. The result – Jameis Winston was sacked 7 times by the Packers. The Falcons DST would project to hold Tampa under 20 points, register 3-6 sacks, and have a very good shot at 1-2+ turnovers. In many 12-team leagues, looking ahead to Week 15…the best DST available is the Atlanta Falcons. The key to this is – IF you agree, you have to act now. The Falcons play tonight on TNF. They’ll be locked until next week to pick up…AND what if the Falcons defense, at home, big game, Desmond Trufant back, shuts down the Saints tonight? People will be all over them next week. If you want to make this play you likely have to act TODAY. 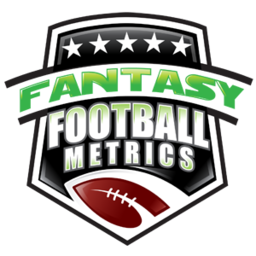 -- I’d rather have Case Keenum (25-30 for 227 yards, 2 TD/0 INTs) than Matt Ryan (16-29 for 173 yards, 0 TD/0 INT) for fantasy football right now. And that’s an NFL reality as well…which is why the Vikings are the Falcons, as a total team, only a touch better. I don’t believe Keenum is a greater talent than Ryan, but they’re pretty close to equal, it’s just that Keenum has a better surrounding cast…and that difference plays out in fantasy as well. The Vikings and Falcons are among the lowest sacked teams in the league…the Vikings just a bit better. The Vikings have a better tight end. Devonta Freeman (12-74-0, 1-7-0/2) is dull, but the starter. The better RB is his backup Tevin Coleman (8-22-0, 3-27-0/6)…a pass catching weapon and breakaway runner. Latavius Murray (16-76-0, 3-21-0/3) is a bigger version of Freeman…the starter, dull, and not as good as his backup. Jerick McKinnon (9-24-0, 5-28-1/5) is a star waiting to happen and is the best backup RB in the NFL…one of the most explosive RBs in the NFL. McKinnon offers Keenum more, better options than Coleman…and Minnesota plays/uses McKinnon much more than Atlanta does Coleman (McKinnon usually plays more snaps than Murray…Coleman never plays more than Freeman). As far as #1 WRs go…sorry, Adam Thielen (4-51-0/5) is a better WR in every way than Julio Jones (2-24-0/6). I watch all the game all the time every season – Thielen today is better than Julio for like the past 2-3 seasons. Julio was completely taken out of this game – had an early drop, and couldn’t make a play on a tough throw late in the game that would have given ATL a 1st-down deep in Vikings territory and given them the win. When Minnesota needed a key 1st-down late, Thielen blew his coverage away off the line, caught a short pass and darted 22 yards to ice the game. The Falcons have a good defense, but the Vikings’ is better. The Falcons have an ‘OK’ offense…the Vikings’ is better. All of which makes Keenum the better play over Ryan for the NFL and fantasy.